Sie haben eine Frage zum (150 m²), 4 Schlafzimmer und 1 eigene Badezimmer in Feakes (Premium Villa Jasmine with Private Pool)? 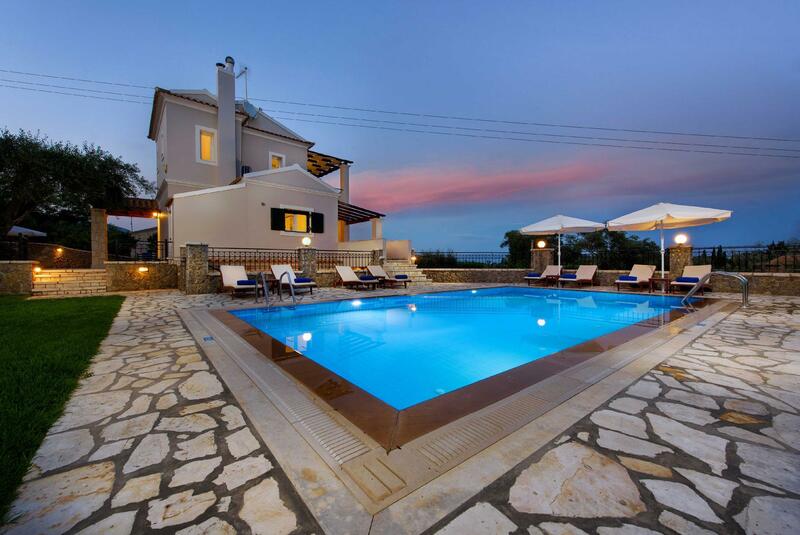 This 4 bedroom private pool villa where you can leave the crowds behind and recharge your batteries in your own private refuge is perched on a quiet hill above Dassia village in Corfu Island. The Villa is an elegant private pool villa, a fine example of style intertwined with the natural elements of Corfu Island and its traditional architecture. This lovely home away from home has 4 bedrooms, ample living and dining space as well as a fully equipped kitchen. Spend the day lounging next to your private pool, soaking in the Mediterranean sun or gazing at the stars from your terrace. You may even want to spoil yourself with a traditional Greek meal using the B.B.Q next to the pool in your garden. The location allows for great privacy while being within close proximity of the charming beach of Dassia & Ypsos and reasonable driving distance of 15 minutes from Corfu Town and the island’s great sights.